One of the most spectacular types of circus entertainment available to book is within the Acrobalance and Adagio category. This form of entertainment is an acrobatic performance which uses hand balancing and lifts which almost seem impossible. This skill combines balance, strength and flexibility and will give your guests a wonderful performance to watch as the evening unfolds. If you’d like to see all of our available Acrobalance and Adagio Acts, please click here to take a look at our dedicated category! Everyone thinks of Jugglers when you mention the Circus! Jugglers are skilled individuals who have mastered juggling and usually perform with a number of objects, including colourful batons, hoops, balls and sometimes even fire batons! A Juggler usually combines a bit of comedy with their act too, and will offer a dynamic performance to entertain your guests. Click here to check out all of our Jugglers listed with us on our entertainment directory today. 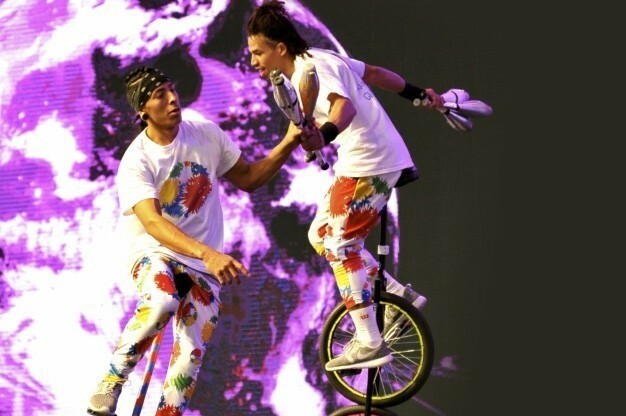 If you decide to hire a Unicyclist for your next event, you won’t be disappointed! A Unicyclist performs on a cycle with one wheel – which is a lot harder than it first seems! Circus themed Unicyclists sometimes offer additional entertainment, such as juggling while riding, or even standing on their saddles and performing stunts! Check out our Unicyclists listed with us on our website before booking! For a fun and dynamic performance with a Circus theme, why not look at hiring a Hula Hoop Performer. We’ve all attempted hula hooping when we were children and usually with little success! A Hula Hoop Performer has perfected their skills in order to create an amazing performance using multiple hoops. Usually performed to music, a Hula Hoop Performer will certainly give you unique entertainment for your guests! Want to find a Hula Hoop Performer for your next event? Click here to take a look at all of our fantastic performers! Sometimes you want to find entertainment that isn’t going to detract from your actual event and we think that if you want to combine this with a circus theme, hiring a Contortionist is one of the best ways to achieve this. A Contortionist combines gymnastics and yoga to mould their bodies into positions thought impossible and are fascinating to watch! If you want to book entertainment to allow you guests to continue to mingle, check out our Contortionists category by clicking here. 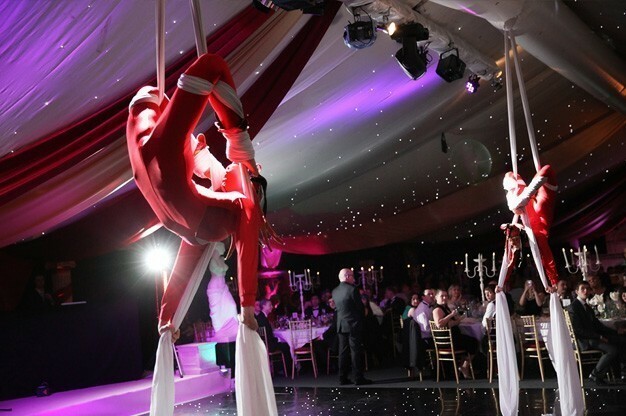 Fancy hiring an Aerialist or Acrobat to perform for your guests, giving them an authentic circus theme? 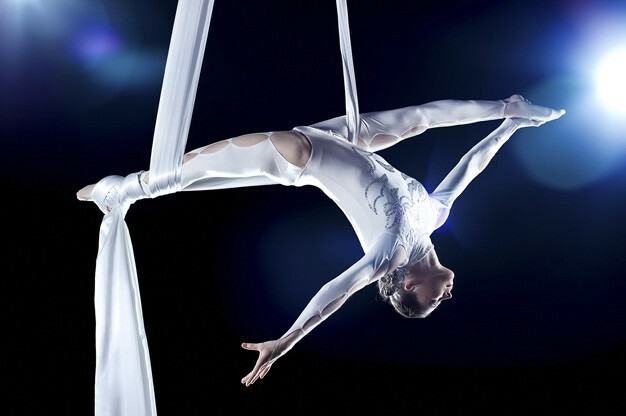 Aerialists perform high in the air which makes them perfect for larger venues that allow this type of performance. They can continue to perform while your guests watch from below and will use a variety of apparatus including trapezes and rope swings to put on a dynamic performance! If you need to stick to the ground, opt for an Acrobat instead who will perform gymnastics and daring stunts without the need of being held in the air. Check out our Aerialists and Acrobats category on our entertainment directory for plenty of choice! Are you looking for a death-defying and daring type of entertainment for your circus themed event? Choose a Knife Throwing Act to give your guests a thrill as a stuntsman attempts to throw knives in the direction of their assistant (usually very close to their body too!). A Knife Throwing Act is the perfect circus themed entertainment, and great if you want to book something that little bit different. Find a Knife Throwing Act on our website today and watch as your guests “gasp” and “oooh” during their performance. 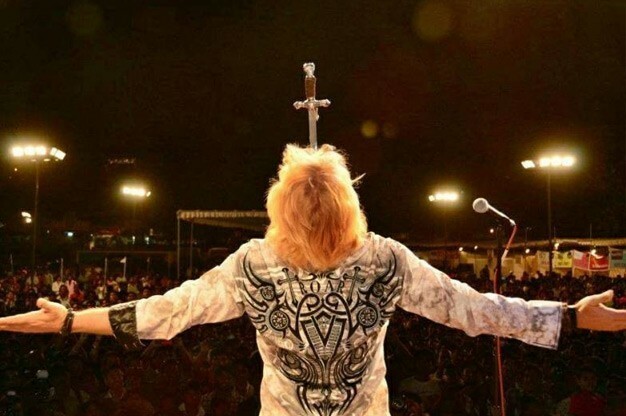 Another outstanding type of entertainment that will offer you and your guests that WOW factor is the Sword Swallower! Watch as a Sword Swallower attempts to swallow swords (sometimes more than one!) into their throat and down their gullet. This type of performance is very dangerous yet these talented performers have plenty of experience! 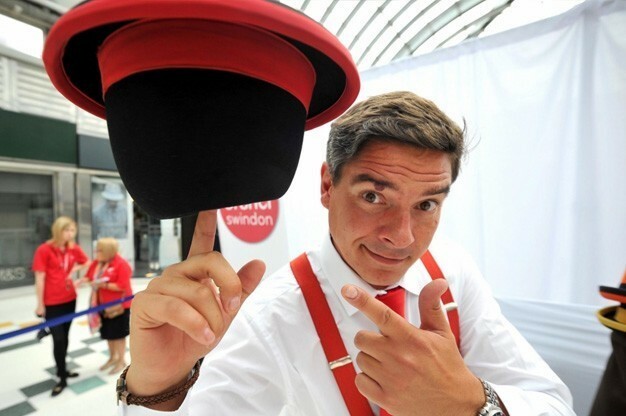 Book a Sword Swallower for your next event and amaze your guests with their dramatic performance. Even though we have given you plenty of inspiration for entertainment for your upcoming Circus themed event, there is even more on offer over on our website, www.EntertainersWorldwide.com – We have a whole “Speciality and Variety Acts” section which is full of fun and exciting entertainment ideas, and there are even some hidden gems in a number of our other categories too. No matter what type of occasion you are celebrating, our entertainment directory has the perfect choice of entertainment for you! All you need to do is browse our website and make the decision on the types of entertainment you want to book! Not only does our website give you help and inspiration on choosing the right type of entertainment, we also have several acts listed with us who offer their services to you! You can get plenty of information about an act on their individual profile pages, and once you have read their biographies and watched their video samples (on certain acts pages), you can easily book an act by clicking on the “Request a Quote via E-mail” button – this will put you in direct contact with your chosen performer and you can find out more information or get a non-obligation quote from them! We do not charge you for contacting our performers, which sets us apart from other entertainment directories on the Internet! Use our services without incurring any hidden costs or commission fees! This entry was posted in Birthday Party Entertainment Ideas!, Corporate Entertainment Ideas!, Wedding Entertainment Ideas!, Which Type of Entertainment Should you Hire?. Bookmark the permalink.